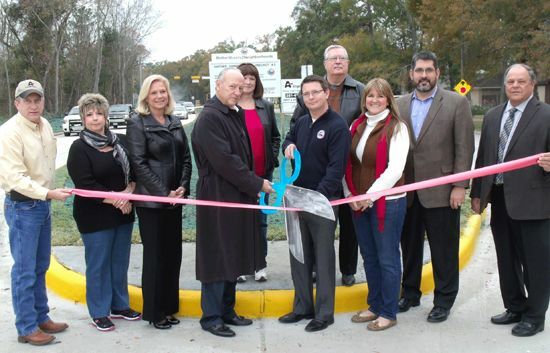 NEWPORT  The completion of the Boulevard of South Diamondhead was marked last Wednesday by Precinct 2 Commissioner Jack Morman with Newport Developer Jim Carpenter, the School District Superintendent, the engineering company representative, Angel Brothers Paving and Utility Contractors representative and local civic groups. 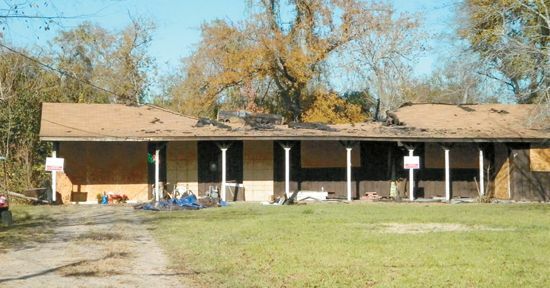 HIGHLANDS  A roaring blaze in a house on Clear Lake Road last Friday morning seemed bad enough to firemen and the neighborhood, but it actually was set, to cover up a more horendous scene of a murder of the 72 year old woman occupant of the house, according to authorities. Caroline Sue Stagner, a well known woman who had retired about 4 years ago after a 36 year career with the Highlands Water District, was found by firemen in her bed, stabbed multiple times and covered with blood. Highlands Fire Department responded to a call about 6:30 a.m. on Friday, Dec. 13, with flames shooting from all sides of the one story house. 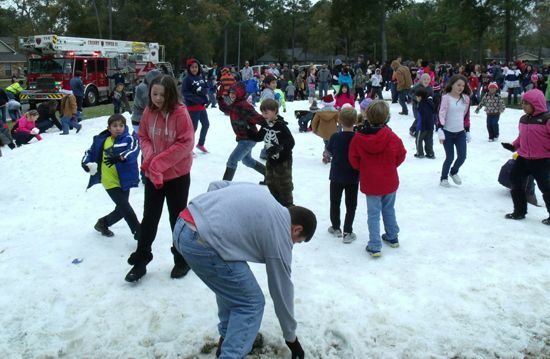 They called for help from other departments, in Crosby, Sheldon, and Channelview. The fire was extinguished in less than an hour, Chief Little said. Fire hydrants on Clear Lake Road were helpful in the fight. Firefighters had discovered the body of Mrs. Stagner upon entering the building, during the fire, and acted to contain the flames away from the bedroom where her body was in bed. After the fire was under control, Sheriffs deputies entered the building and determined upon examination that Mrs. Stagner was the victim of a homicide, having been stabbed several times. On Monday, Harris County Institute of Forensic Sciences, the coroner, released the results of an autopsy confirming that Mrs. Stagner died of multiple stab wounds, not the fire. At this time, the Sheriffs deputies are looking for information from anyone that knows about the case. Investigators can be reached at 713-967-5810 or at Crime Stoppers at 713-222-TIPS. Callers remain anonymous and are eligible for a reward. Now tips can also be sent to the Sheriffs crime website, iwatchharriscounty.com. Mrs. Stagner leaves behind three children, and grandchildren. After retirement she kept busy with gardening, cooking, sports on TV, and family events. She was a 1959 graduate of Crosby High. Authorities investigating the fire include the Harris County Fire Marshal and the HCSO homicide unit. Reports that an accelerant was used to spread the fire did not prove true, after dogs were used to scan the premises, according to authorities. After Fridays fire, deputies could be seen for several days interviewing neighbors and family members. Several leads were being pursued, it was said. The Highlands community has expressed concern about the number of homicides this year, which now number five. Although circumstances in each vary, some residents feel that the Sheriff needs to staff the area more thoroughly, and investigate and prosecute more rigorously than has been demonstrated. CROSBY  Twice on Dec. 14 parades filled the streets of Crosby with vehicles one was the Toys For Tots Toy Run that went from DownSouth OffRoad at Noon to the Wal-Mart in Crosby and the other was The Christmas Parade by the Crosby-Huffman Chamber of Commerce beginning at 2:00 p.m. from Crosby Church and reaching viewers at about 2:30 p.m. between the Baptist Church and Crosby Kindergarten. The Toy Run collected just over 5,000 toys and had 211 ATVs and other off-road vehicles participate to make gifts of toys to over 90 families that need some extra help for Santa, according to Kendyl Clamon, of DownSouth OffRoad. As the parade was near returning to the off-road site on the north side of the Beaumont Highway some off-road vehicles were just arriving at the Wal-Mart parking lot. Meanwhile at the Fairgrounds, a 1k and 5k fun run made up the Jingle Bell Run in the morning. 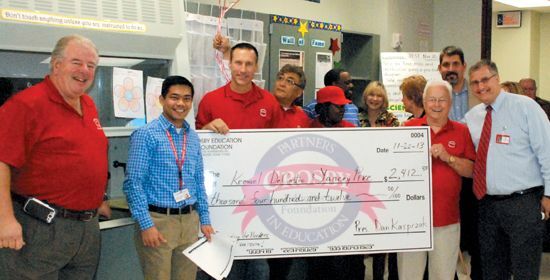 Dr. Ryan Kornik again hosted the growingly popular event that raises funds for the C-HCC general fund and enables education programs. Then a host of activities played out under the pavilion with featured attraction of the kids attending Crosby ISD after they participated in the parade. Most stellar was the Crosby Military Marching Band in triumphant lead for Santa and Mrs. 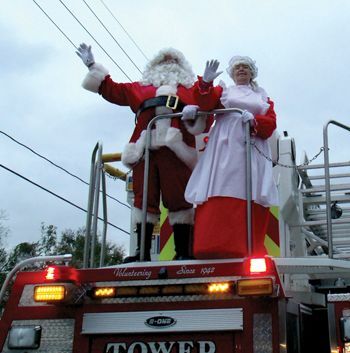 Clause brought in again this year by Crosby Volunteer Fire Dept. A bunch of fair rides, free hot dogs, free cotton candy, and Word Photography donated free pictures with Santa and Mrs. Clause were just some of the attractions. A bevy of attractions and booths attracted old and young alike. Especially praised was the fried shrimp sales. The two parades represent the diversity of of the area as Crosby burgeons and the good will grows. Gilbert Hoffman, Star-Courier publisher, and adedicated staff at Grafikpress Corp. that publish community newspapers around the Houston area have announced the inaugural issue of a new newspaper. It is the North Channel Star, for the North Shore communities of Channelview, Sheldon, Cloverleaf, Galena Park, and Jacinto City. It has been over three years since they had their own newspaper that is interested in their stories, schools, businesses, clubs, churches and organizations. Grafikpress has been publishing community newspapers since our first paper, the Highlands Star-Courier was purchased in 1994. We now publish five newspapers, including this new one. The newspaper is an important member of the community, giving it a voice and helping it to have an identity. It also serves commerce, and we welcome advertising support. It is important that if we do a good job, the business community help us remain financially strong. 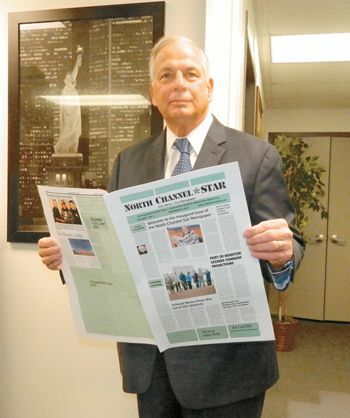 We all know that the newspaper business has changed over the years, and you will be able to find our paper on the internet and your smart phone, at www.northchannel star.com, as well as in print. When we were considering the establishment of a newspaper for the North Channel area, a number of people asked us to proceed. This included business people such as Jim Mills of Pineforest Jewelry, Rotarians of the North Shore Club, Charles Grant and Margie Buentello of the North Channel Chamber, and quite a few others. We thank them for their encouragement and suggestions. It is especially appropriate that we have the support of the Rotary Club, since the Highlands Star was started in 1955 after Alton Neatherlin and James Brazzil met with the Rotary Club and were encouraged to found a paper for the community.